Dr. Stephen Blake is the coordinator of The Galapagos Tortoise Movement Ecology Programme (www.gianttortoise.org). He currently works for the St. Louis Zoo and is an adjunct scientist with the Max Planck Institute for Ornithology, the University of St. Louis in Missouri, and the State University of New York, and is also a visiting scientist with Washington University in St. Louis. He earned his MSc PhD from the University of Edinburgh. Before starting his work in the Galapagos, Stephen worked on forest elephant conservation for the Wildlife Conservation Society in the Congo Basin for about 15 years, primarily on forest elephant ecology and conservation. Stephen is here with us today to tell us about his journey through life and science. Stephen’s research interests focus on the movement ecology of megavertebrates with strong applications for the conservation of species and ecosystems. 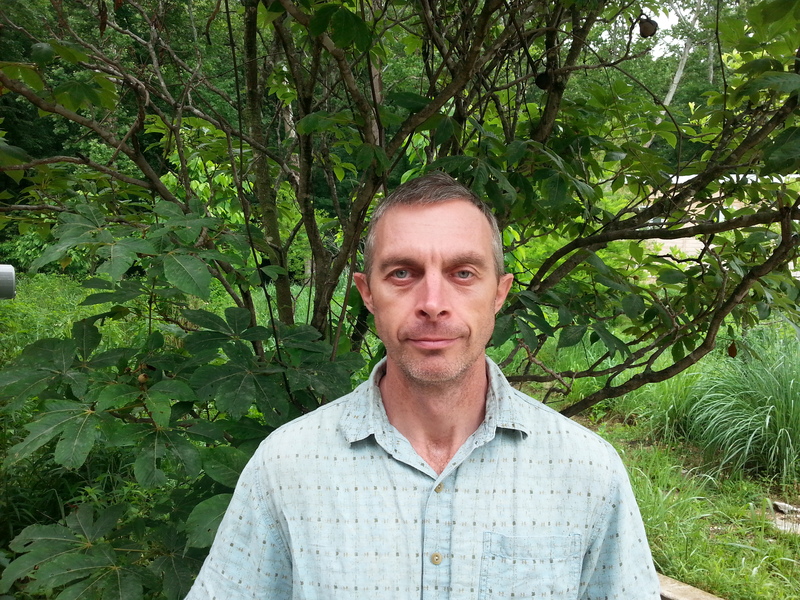 His previous work has demonstrated a unique ecosystem engineering role of forest elephants as “gardeners of the forest” in the Congo Basin due to their prodigious abilities as seed dispersers, and also highlighted the current conservation crisis forest elephants face due to the ivory trade. More recently, research on Galapagos tortoises shows that they have similar ecosystem impacts on Galapagos ecosystems, as do forest elephants in Africa, in part due to their recently documented long distance migrations. An opportunity has recently arisen to conduct work of a similar nature with reintroduced American bison in western Missouri. However conservation biology offers myriad opportunities with smaller species much closer to home, which is why, along with the St. Louis zoo, Stephen has developed a Box turtle program at Tyson Research Centre and Forest Park in St. Louis. He combines research on movement ecology and health with locally relevant outreach to contribute to the conservation of these well-known but threatened animals.